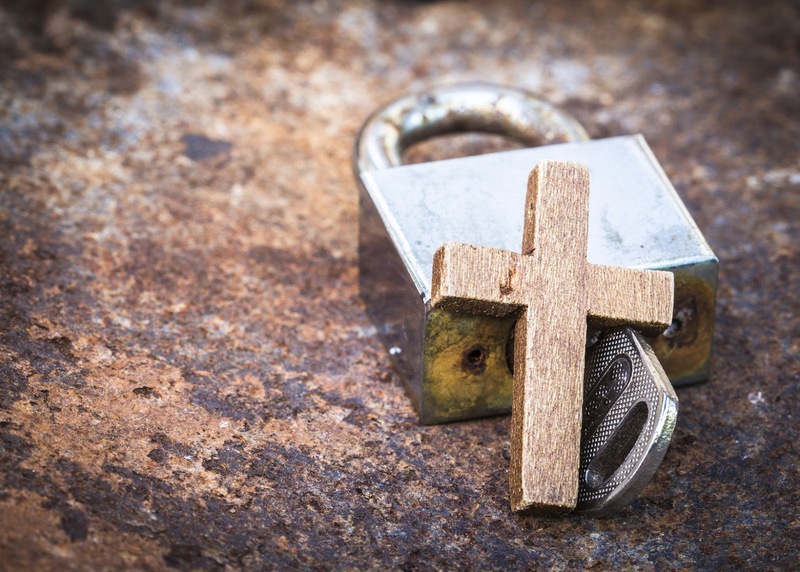 Do you know who the other two characters in Scripture were that may have committed suicide? And the more difficult question, Is suicide a forgivable sin? I had been raised with the theology that suicide condemns the soul as it is a sin that can never be repented of (assuming one is successful in the effort). Now that might make sense for a "sane" individual, but is a person that commits suicide sane? If a person is mentally incapacitated or unstable or distraught, will the Lord of the universe look at the last moments of a life and reject one who otherwise might have been a faithful servant? A: A very interesting question! Suicide is a very difficult subject to tackle for many reasons, not the least of which is the emotional pain that is associated with this act in the lives of anyone who has experienced loss in this life due to suicide. As with any potentially emotionally charged topic, it is wise for us to tread very carefully in order to not add to the burden of anyone who is walking with hurts caused by suicide. To consider these all "suicides" is a bit of a stretch for me. Suicide is the act of taking one's own life. Abimelech more accurately asked to be euthanized by a (male) friend so as to not be dishonored by being killed by a woman (Judges 9:54). Samson seems to be more interested in killing Philistines than he is in ending his own life -- it just so happens that he is willing to die with them as more of a suicide attack. However, the primary intention of Samson's final act was not the ending of his own life but the infliction of vengeance upon his enemies. If we were to classify this as the same as other cases of suicide, then I can see the difficulty. Not all actions that lead to a persons own death are the same. The Questioner is right that Samson is included in the Hall of Fame of Faith in Hebrews 11. The author of Hebrews seems to point to Samson's actions as heroic and strong (based on Hebrews 11:33-34) towards his enemies. Samson is included even though his act of faith killed him in the process. It may simply seem like semantics. But I don't believe Samson was "suicidal" in the way that term is usually meant. Unless we want to describe anyone who acts heroically and dies also as a "suicide." Would we consider a police officer or firefighter to be "suicidal" simply because they lost their own life through their actions while on duty? It is important to point out, as a side note, that this inclusion of Samson in Hebrews 11 does not in any way validate other forms of "suicide attacks" like we see in our contemporary culture. 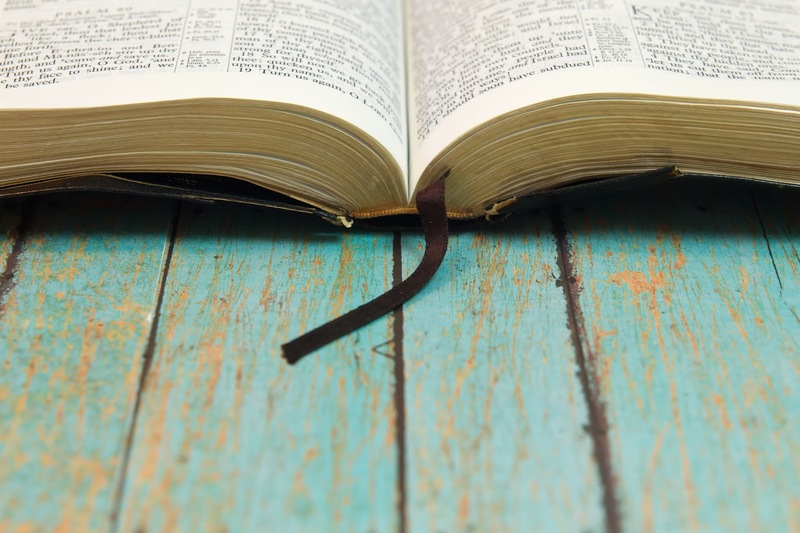 Although the God of the New Testament and Old Testament is the same God, it is fairly clear that the Old Testament records far more instances of sanctioned bloodshed than the New Testament does. Although war and death are always ugly, Samson lived in a very different time and culture than we do. It is difficult to judge his actions by our own, contemporary, standards. What is clear in the New Testament is that we are no longer to wage war as the nation of Israel was once commanded to do. Our weapons are not fleshly, but spiritual. In no way, shape, or form do Samson's actions condone suicide killings in our own day. Based on such a loose idea of suicide some argue that even Jesus himself committed suicide! 1) Saul; 2) Saul's armor-bearer; 3) Ahithophel; 4) Zimri; and 5) Judas Iscariot. To claim, as the Questioner mentioned was claimed in their question, that the Bible never condemns these men is a bit misleading. Notice that verse 14 says that "He killed him"! God killed Saul for his trespass and his seeking a medium. God handed Saul and his army over to the Philistines. When seriously wounded in the battle, Saul did not want his enemies to get the glory for killing him or to capture him and abuse him (1 Samuel 31:3-4; 1 Chronicles 10:3-4). So, he sped up the process. But the Chronicler says that God killed Saul as an act of judgment. This issue can get really complicated, really fast. We see divine sovereignty in the orchestration of events, leading to the Scriptures declaring that God killed Saul. We see human responsibility in Saul's own action and participation in the judgment by falling on his own sword and actually committing suicide. We also have a distinction to draw between judgment in the temporal sense and eternal judgment (i.e. condemnation). While Saul was clearly "condemned" to death in this life because of his actions (pre-suicide), the Scripture doesn't describe Saul as being condemned (eternally) as a result of his suicide (or other actions). At least, not explicitly. Verse 19 tells us that Zimri's death was caused ("...and died, because...") by his sin. However, the condemnation upon Zimri results in his earthly death without any commentary on the eternal state of his soul as a result of his suicide. Similarly, Judas is clearly condemned in the Scriptures. He is described as the "son of perdition" (or, "the one destined for destruction") who was lost (John 17:12). Of course, the reason for his condemnation is more complicated than simply the way in which his biological life ended here on earth. 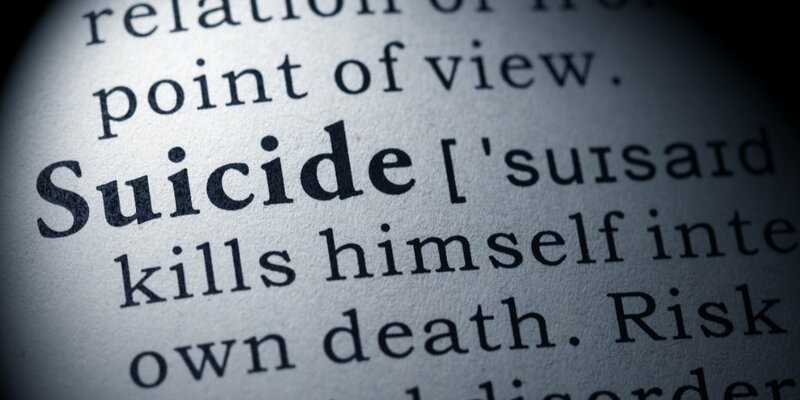 After a closer examination, it seems that 60% of the individuals who are revealed in the Scriptures to have committed the act of suicide were under the condemnation of God even before their death. Two of the three examples actually had their death explicitly linked to the judgment of God! The other two individuals (Saul's armor-bearer and Ahithophel) deaths pass without much discussion in the Bible. 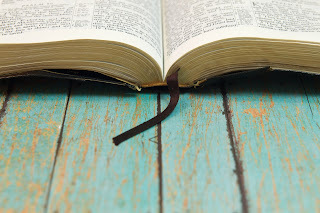 Going simply on the information presented by our Questioner (without knowing the book or the author of the comments in question), it seems like the conclusion is on the right track: it is difficult to make a case from the Bible that any of these men were condemned (eternally) as a result of their suicide. It seems like a case could be made in the opposite direction, however, that the condemnation upon these men ultimately led to their death -- even a death at their own hand (cf. Romans 1:18ff). I, too, was raised to believe that suicide was an unpardonable sin. However, it seems clear to me that this view is not based on a clear teaching of the Scriptures. There is no passage that states it that way. One of the aspects of the question above includes an inquiry into the sanity of someone who commits suicide. I'm not a mental health professional. I hesitate to wander into such foreign territory. I do feel safe in saying that the person who commits suicide (or even contemplates it) is in a dark and difficult place. As someone who has battled depression and suicidal thoughts in my past, I can honestly say that I don't ever believe I was "out of touch with reality" (which, of course, is usually what someone who is out of touch would say! ), even though I was hopeless and desperate. Being without hope and being desperate are not emotional states that are reserved for the person who is insane. I don't think that the sanity of Saul, his armor-bearer, or Judas should necessarily be in question. I don't think psychoanalysis would prove fruitful for our purposes. All of these men, however, were clearly in a dark place. They were being tormented and led by external (and sometimes internal; Luke 22:3) forces beyond their understanding and control. Unfortunately, this describes most of us. Especially before we come to Christ. 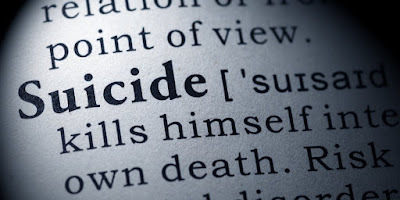 It becomes a leap in logic and faith to connect the reality that suicide is outside of God's plan for His children and that it is, therefore, a sinful act to the conclusion that it is unforgivable. According to my understanding of Scripture, there is only one unforgivable sin: blasphemy of the Holy Spirit. Of all of the possible interpretations of this particular passage, I've never heard anyone attempt to link suicide to the blasphemy of the Spirit. That doesn't mean it hasn't been. I just don't see the connection. The question above raises a different reason for this being unforgivable: the fact that repentance for this particular sin is impossible if the act itself succeeds. As I was growing up, this was the reasoning I remember receiving for the belief that suicide was a direct ticket to Hell. However, I now see that this theological reasoning isn't sound. "If I am driving down the road and see a billboard with an immodestly dressed woman on it selling some product and a fleeting lustful thought crosses my mind, and then I'm killed in a car accident without having the opportunity to repent, have I lost my salvation?" I think that the answer to this question is clearly, No. Repentance is a gift from the Lord. All of His children should walk in a lifestyle of repentance in order to allow the Holy Spirit to fill us constantly and move freely in our lives without being hindered or quenched by our living in sin. However, each of us has more "sin" in our life than we even realize. You would be hard-pressed to convince me that anyone (aside from Jesus) ever passed into death without any un-repented-from sins on their account! So, what reason would we have for believing that suicide is the exception? I suppose it could be argued that suicide is an act of apostasy. But you'll have a hard time making that case from Scripture. In the end, I'm not sure that I can answer this question with certainty. The admonition of the Scripture is to endure until the end. God is faithful. His promises are for those who endure (Mark 13:13; 2 Timothy 2:12). I'm not sure that someone who commits suicide has fallen short of that goal or not. Ultimately, entrance into relationship with the Living God and consequently, into His heaven, is based on a relationship with Jesus Christ. While it is difficult for me to understand how someone who is genuinely saved and walking as a child of light could be in such a dark place as to commit suicide, that doesn't mean it's impossible. Many things that are hard to believe are nevertheless true. My own depression has changed now that I'm a Christian. It didn't disappear completely. I no longer have suicidal thoughts. But my experience is just that - mine. I don't want to go beyond what the Bible teaches and think my experiences are true for everyone. We have to trust in the One who judges all things impartially and who is always good to do what is right. And He will. Suicide isn't a good option. It is not the only option. My prayer is that all who are in darkness will come into the light of Jesus. That they will allow Him to be their source of victory and joy in this broken world. For those who have endured the loss of a friend or a loved one through the act of suicide, my encouragement is that the Bible does not declare without a shadow of a doubt that this is clear evidence of their damnation for eternity. God will do what is right. We can rest in His goodness, even in such a difficult case. Nicely done. As one who has been trained in "suicideology" and the ASIST method for suicide prevention, I fully agree with your argument against it being an "un-forgivable" sin. There are way too many factors involved in the study of the psychology of the suicidal mind to try and give a standard formula for helping those who are struggling or considering it. The best you can do is to offer them the hope that is only found in Christ, and seek to get them some professional help. Thanks for your answer, this was a tough question!